Tiger Woods has set so many records in his illustrious career you wonder what it left he can break. Of course, winning 19 Majors Championships is tops. But if Woods were to win the Farmers Insurance Open, which starts tomorrow, he would set a new PGA Tour record for most wins on the same golf course. 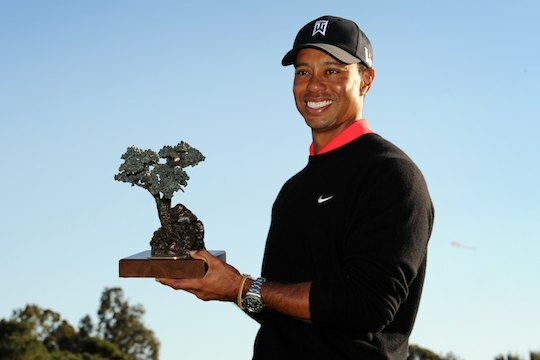 Woods has won the Torrey Pines event seven times along with the 2008 US Open. The San Diego course is one of three venues where Woods has also won eight times with the others being Bay Hill, and home to the Arnold Palmer Invitational, and Firestone Country Club and host venue for WGC – Bridgestone Invitational. The only other golfers in history who have even won six times at a single event are Sam Snead at the Miami Springs Golf and Country Club and Jack Nicklaus at the Masters. Woods said last year he likes to stay in his lane when it comes to playing the various PGA Tour tournaments. “Yeah, I feel comfortable here, there is no doubt,” he said. Joining Woods this week is fellow American Phil Mickelson, who is coming off his joint second place finish in Abu Dhabi. Between them Woods and Phil Mickelson have combined to win nine of the last 15 Farmers Insurance Opens.